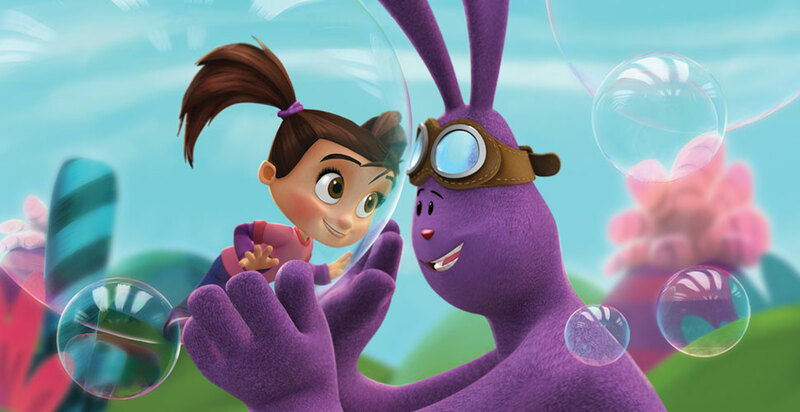 Kate & Mim-Mim follows the special friendship between a 5-year-old girl named Kate, and her favourite plush bunny Mim-Mim who becomes a larger than life playmate whenever Kate’s curiosity stirs her imagination, and unlocks the door to her fantastical world! In each episode, Kate and Mim-Mim and their gang of loveable friends discover exciting new places and set off on adventures, all in the hope of solving a puzzling problem Kate has in the real world. When the adventure ends, Kate returns to the real world to tell her parents all about her amazing adventures and how she and Mim-Mim have saved the day.